This meditation class will teach you how to be more compassionate towards yourself overall and most importantly in reguards to your thoughts. From there we will understand and practice one guided mediation which is design to help transition you into the practice of Mindful Meditation. Remaining focused on the present moment as we understand the process of observing and releasing thoughts that cause stagnation or blockage within our yourself. This technique empowers you to take controls on your mind. The goal is to develop a long-term practice of self awareness and control, which can prevent or help in handling stress, criticism, depression,sleep deprivation, better problem-solving and other life challenges. Gentle stretch along with sun salutations to get that heart rate up. This class will leave you feeling stretched and feeling well. Gentle stretch with sun salutations to get that heard rate up. This class will improve balance, relieve stress, build stamina. Yogic breathing, or Pranayama, revitalizes the body, steadies the emotions, and creates great clarity of mind. Pranayama is subtle but very powerful and a vital part of yoga practice. The more we become aware of our breath, the more we are able to calm the mind. In this class, you will learn how to breathe correctly in order to facilitate the flow of Prana (breath/ life force energy), learn pranayama techniques, yogic philosophy, and how to incorporate pranayama into asana (posture) practice. Pranayama class will greatly benefit your yoga practice because more awareness of our breath expands the quality and experience of our yoga practice and life. No previous experience with pranayama or yoga is necessary. Both beginners and experienced practitioners are welcome! Kundalini Yoga as Taught by Yogi Bhajan® is the origin from which all yogas have emerged. It is the most effective and complete yoga you can practice. It is designed to give you “hands on” experience of your highest consciousness. It teaches a method by which you can achieve the sacred purpose of your life. 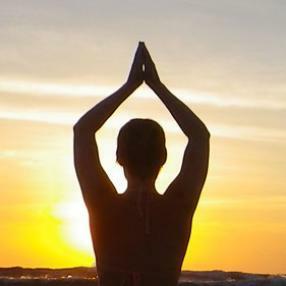 Kundalini Yoga is not a religion; it is universal and nondenominational. It is known as “The Yoga of Awareness” and is the fastest way to establish an aligned relationship between your body, mind and soul. Kundalini Yoga is for anyone and everyone. It is for people who have to cope with the daily obstacles and stresses of holding jobs, raising families, managing businesses and maintaining a household. It is for those who want the skills to cope successfully with the challenges of living in this day and age. Trauma Recovery Yoga exclusively for attendees and employees of the Route 91 incident on October 1st. This class is free for anyone affected for the entire month of March. These 45-minute sessions, for all levels, called Trauma Recovery Yoga aka Total Resilience Yoga are designed to build or recover resilience, providing a “do no harm” practice which emphasizes four key themes. Experiencing the present moment (presence), exercising choice (empowerment), taking effective action (resilience), and creating internal rhythms and positive affirmations (mindfulness). The method emphasizes choice for each to experience yoga at their pace to their preferred level (even if that means sitting still and breathing with the group and nothing more). You will leave this class with a feeling of all over wellbeing and take tools with you that you can use on or off the mat to reconnect with that feeling. The Gong is a symbol of the spirit, a sacred threshold, a portal that links the finite and the infinite experience of the self. It represents the initial stillness and potential of creation. The sound it issues forth is the first movement of the Infinite. Its vibrations are the life currents of all forms, beings and thoughts that exist or can exist. One of the significant features of the Gong is the interactive nature of the sounds it creates. The Gong produces a note projected against a background spectrum of notes. Each note interacts with the background. They alter each other. This creates a complex, non-linear pattern that interweaves the sense of the whole with the sense of the part. You can feel this in your body when you listen to the Gong. The entire body vibrates and changes as specific areas of the body are pressed and stimulated by the waves of the Gong – the vibration causes all thirty trillion cells of the body to resonate, to dance—forming patterns that release blockages that have prevented the cosmic pulsation to flow freely through our being. Within this creative cosmic flow we find fulfillment, harmony, and love. The sound of the gong allows you to move beyond the boundaries of the mind. It is like playing a million strings. The gong takes us directly into the original sound current, into perpetual sound – out into space! · gives a sense of expanded awareness and higher consciousness! Please bring a light blanket (or similar) to cover yourself with.